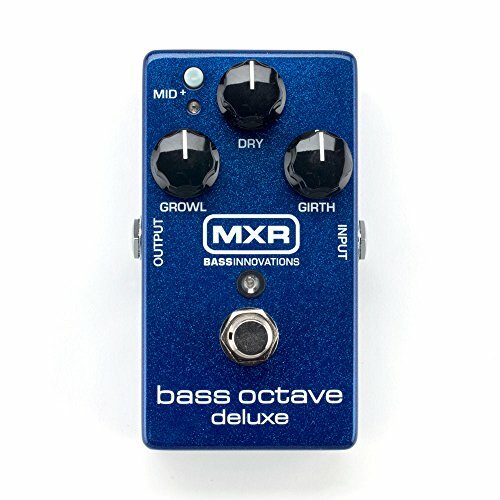 The MXR M288 Bass Octave Deluxe serves as further evidence that guitarists aren't the only ones who seeking cool and creative ways to modify their sound. This dual-voice octave pedal is a tone shaper's dream, and offers analog tones with true bypass. The M288 Bass Octave Deluxe's Dry knob mixes your direct bass signal with the octave effect and add up to 15dB of midrange punch. Aside from the Dry control, there are two more knobs: Growl and Girth, which add midrange or low end to the M288 Bass Deluxe's sound.